Stockton Beach is famous for its endless dunes which can tower up to 40m high. Constantly moving with the winds, the dunes offer a great day out adventuring either via foot, 4WD or on a guided quad bike tour. Sand boarding down the dunes is great fun for the kids as is visiting the 'tin city' which is a group of shacks cut off from the rest of the world. This image belongs to the travel and nature stock photo library. This stock photo of Stockton Beach Sand Dunes Study #3 is available for licensing for commercial and editorial uses including websites, blogs, books, magazines, brochures and advertising. Restrictions may apply for images which contain third party copyrighted material or sensitive subjects. Photos of artwork are for editorial use only. 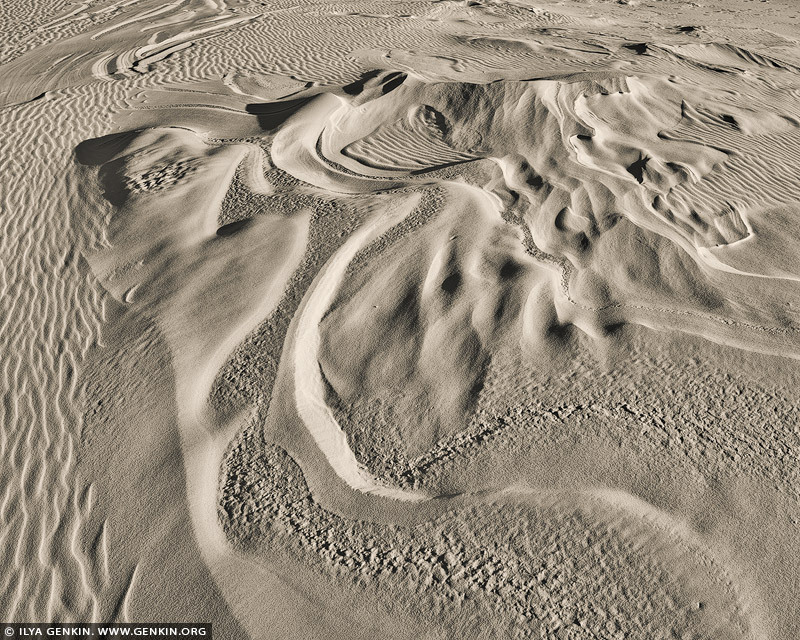 This image id AU-STOCKTON-SAND-DUNES-0003 of Stockton Beach Sand Dunes Study #3, is copyrighted © by Ilya Genkin. This is not a public domain image.